All you have to do is set it up once and let it run. Horizon does the work for you. 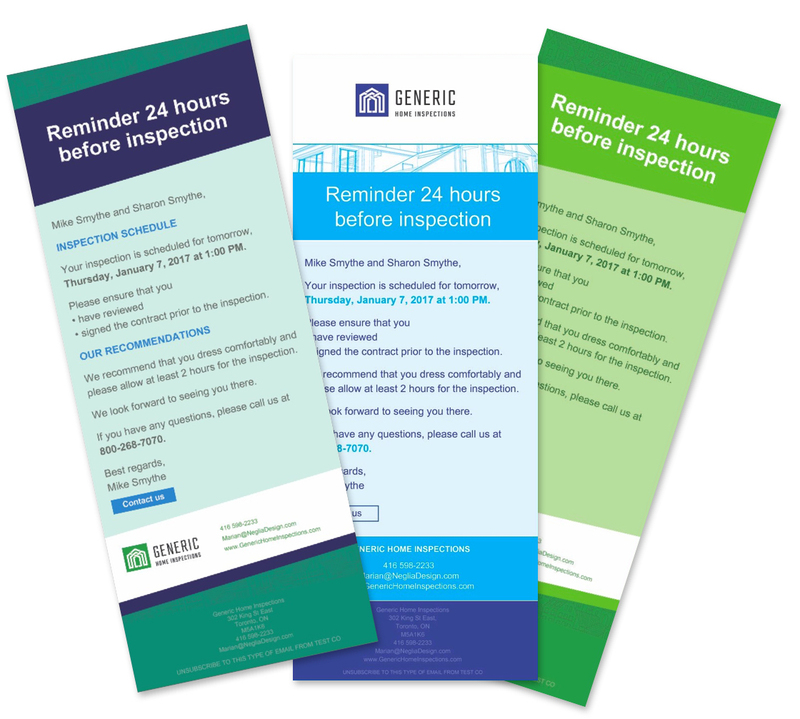 Send timed reminders, thank-you, follow-up and marketing messages. Horizon automatically sends high-quality, customized HTML emails to your clients and agents. You can build a real estate agent database by company or agent and use your growing lists for more marketing. 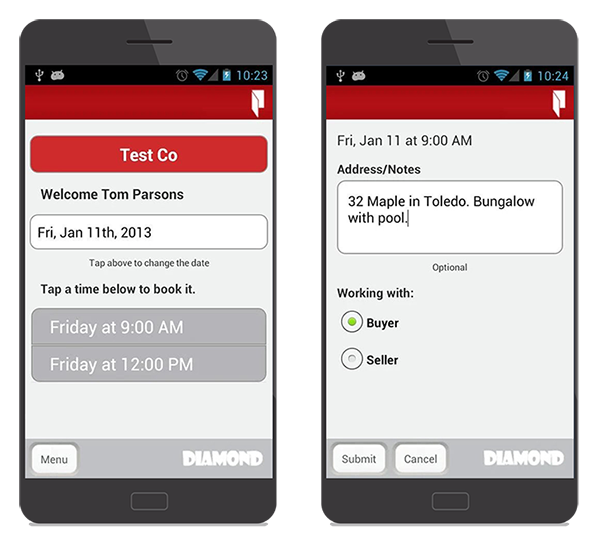 Send surveys, collect client testimonials with integrated marketing partners. Offer additional services to clients, post-sale. 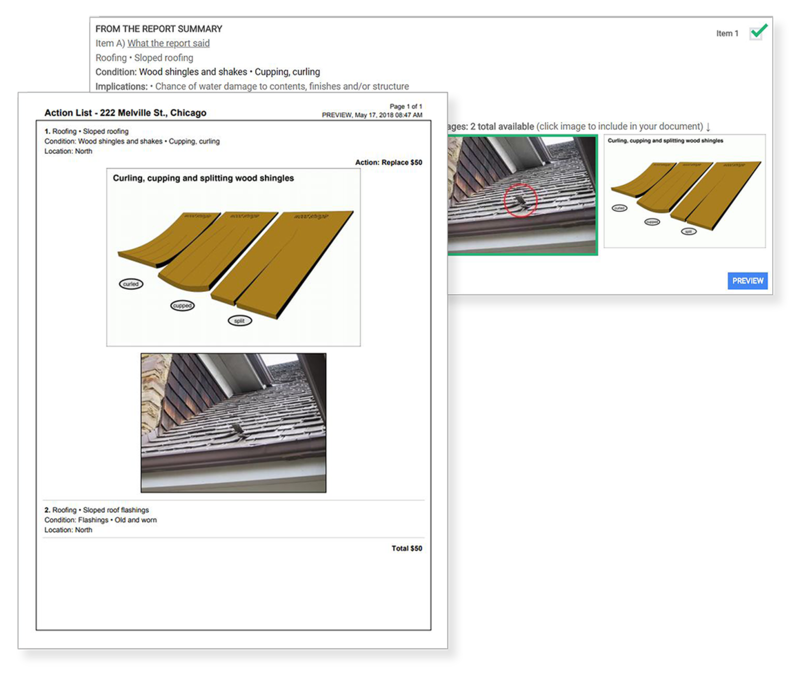 Not only are your Horizon inspection reports a powerful marketing tool, Horizon is also your free, automated home inspection marketing department. Set up Horizon Marketer and let it market your business for you. Offer additional inspection services — mold, asbestos, etc. Horizon automatically sends personalized emails to clients and agents for you. From confirming a booking to promoting additional services, we’ve taken the guesswork out of what to say and when to say it. Horizon organizes your clients and agents into separate databases and keeps track of them for you. See which agents used you for the first time this month and which agents have stopped using you. With Horizon, you know who to reach out to and when. Horizon gives you the power to uniquely market to real estate agents. 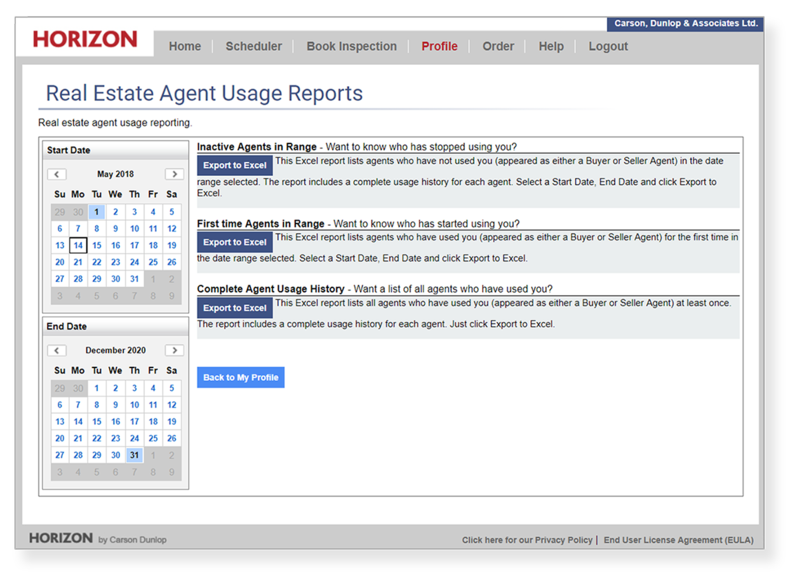 AgentBook lets agents schedule inspections in two clicks, or roughly 10 seconds. It’s a personal hotline direct to your schedule. Agents select the date and time and click Submit. They get a confirming email, and your follow-up to get the details. Simple, convenient and keeps you connected with the agent!